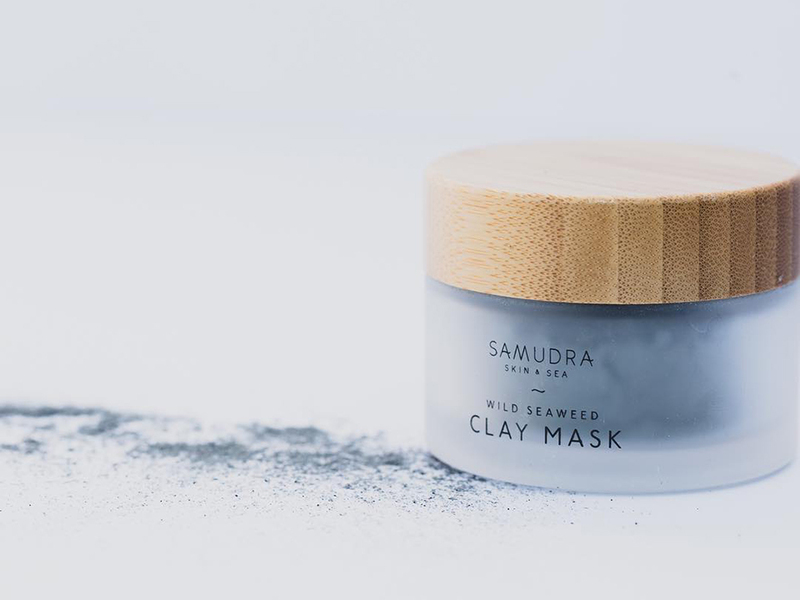 OAKLAND, Calif. -- Two years after launching a line of seaweed-based beauty products, Samudra Skin & Sea founder Shilpi Chhotray recently teamed up with Noe Valley-based artist and author Josie Iselin to redesign her packaging. "I started putting seaweed on my scanner about ten years ago and have been smitten with the seaweeds of our California coast ever since," said Iselin, who added aquatic plant designs in green, purple and red to Samudra's boxes. Iselin has also published a book called An Ocean Garden: The Secret Life of Seaweed and is currently working on a collection of essays and imagery on the seaweeds and kelps of the West Coast. 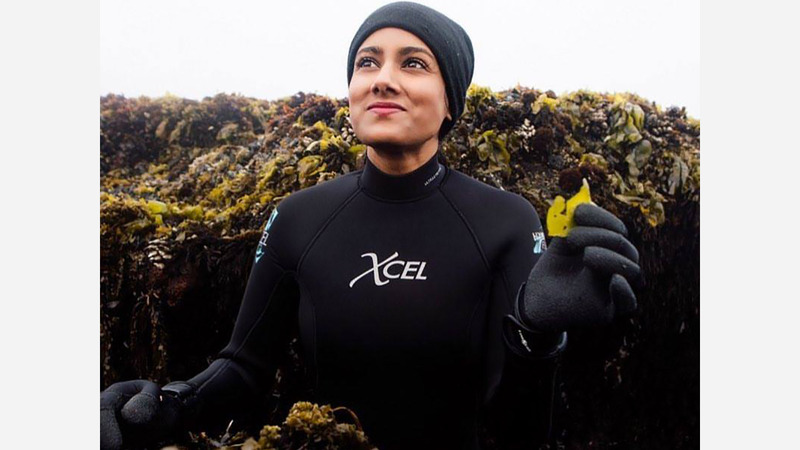 Chhotray launched Samudra after she returned from a trip to India with the desire to combine her interest in ocean conservation with wanting to live a healthy lifestyle. "The desire to blend personal wellness with ecological integrity heavily influenced my desire to create the line," said Chhotray, also a senior communications officer at Break Free From Plastic. Chhotray said she's always advocated for sustainability, but the new glass jars, bamboo lids and recyclable and compostable boxes certified by the Forest Stewardship Council now deepen that understanding. "We've found that our clients enjoy reusing them for things like spices, small greeneries, and candle holders," Chhotray said. Bay-Made (3295 Lakeshore Ave.) and Atomic Garden (5453 College Ave.) in Oakland carry Samudra products, while Rainbow Grocery (1745 Folsom St.), and now also Olive This Olive That (304 Vicksburg St.) offer her wares in San Francisco. Chhotray said she's lucky to have a supportive community, but now she's looking for "a partner who has strong business acumen and experience in growing a personal care brand." Since the early 1950s, humans have produced 8.3 billion metric tons of plastics, with most of it in landfills or the natural environment, Chhotray said. "This is simply unacceptable to me," she said. 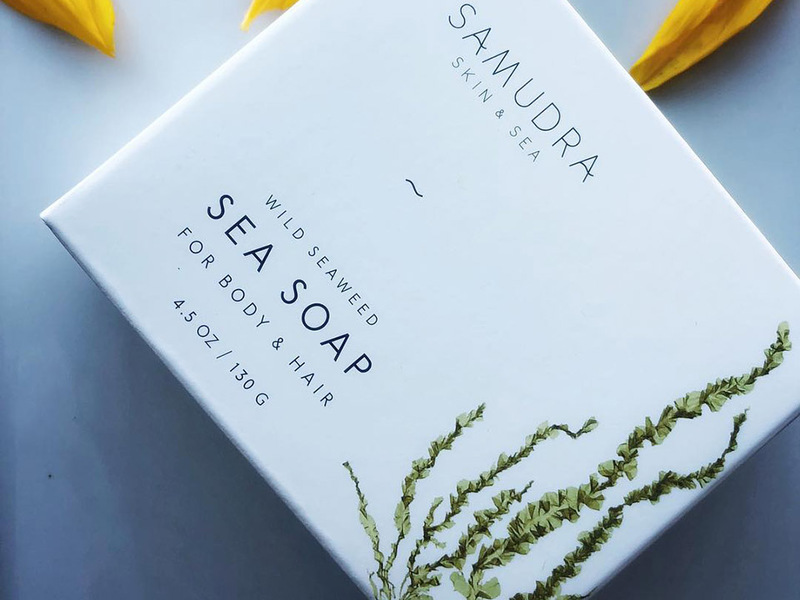 To move toward a zero-waste supply chain, Samudra offers a soap bar that's created for hair and body, eliminating the need for bottled shampoos and conditioners. "We strongly advocate a less is more' mentality and repurposing and reusing when possible," Chhotray said.